Tuesday is finished, yay! I love it when a day is over in Australia and the rest of the world still need to experience it! Blogging friends, I have a new addiction of late - buying clipart - or better yet, downloading free clipart. I downloaded some adorable clipart from both Jessica Weible Illustrations and Graphics From the Pond and could wait to use them. The first thing I thought of was and Alphabet Set so I just had to make one! 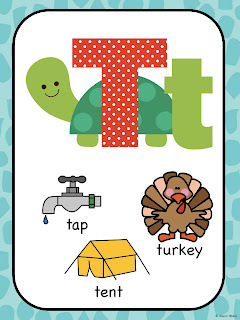 I know that the next time I teach Prep or Grade 1 these posters are going to be the first ones I put up - seriously, the clipart is adorable! 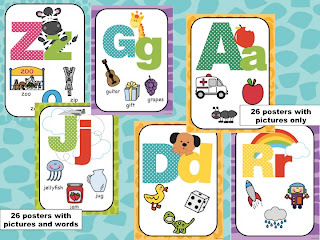 Two Alphabet sets (26 posters in each set) - both sets contain the same pictures, one set contains only pictures, the other set contains pictures and words. Please see the pictures below! 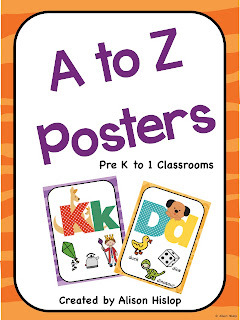 Do you want a chance to win your own pack of A-Z Posters? Simply leave a blog comment below and I will randomly pick TWO winners on Thursday night (Melbourne time). OR if you can't wait, you can download it from here. 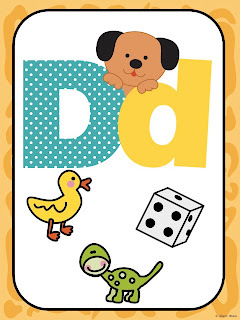 I want to win this adorable pack which will be perfect for my preschooler! Awesome packet!! Just what my K/1 kiddos need. Super cute! Thanks for the great giveaway! 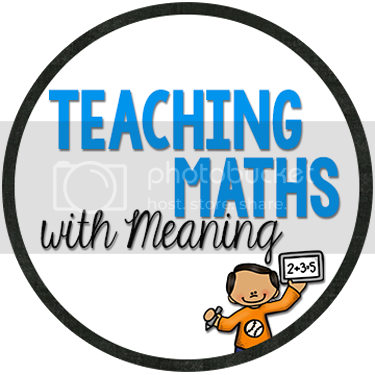 Would love to use them with my students. How cute! I like the polka dots too! Australia: The Future! It is great when we are enjoying our weekend and everyone else is still at school! Thanks for the comments ladies - our winners were Cori and Yvonne! Ladies I have emailed both of you!